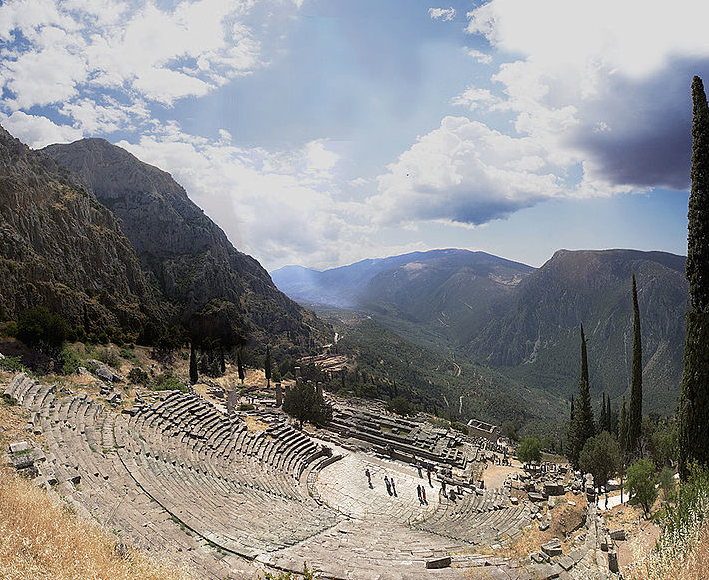 Perched on a hillside with panoramic view, lies the theatre of Delphi, built in 400 BC of white stone from Parnassus. Its capacity is estimated to 5000 spectators and it bears all the typical architectural features of the Late Classical Greek theatres. 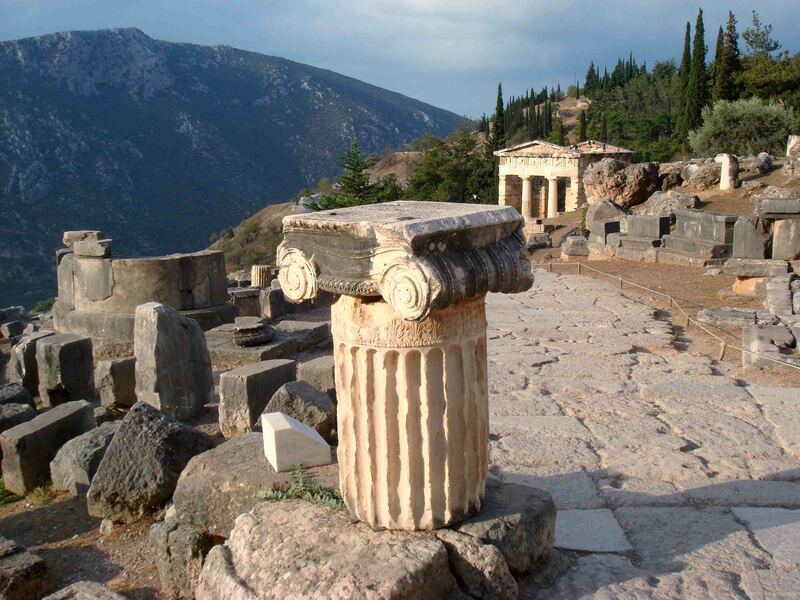 When approaching Delphi the first site to be seen is the temenos of Athena Pronaia, the epithet meaning the goddess worshipped before the temple of Apollo. 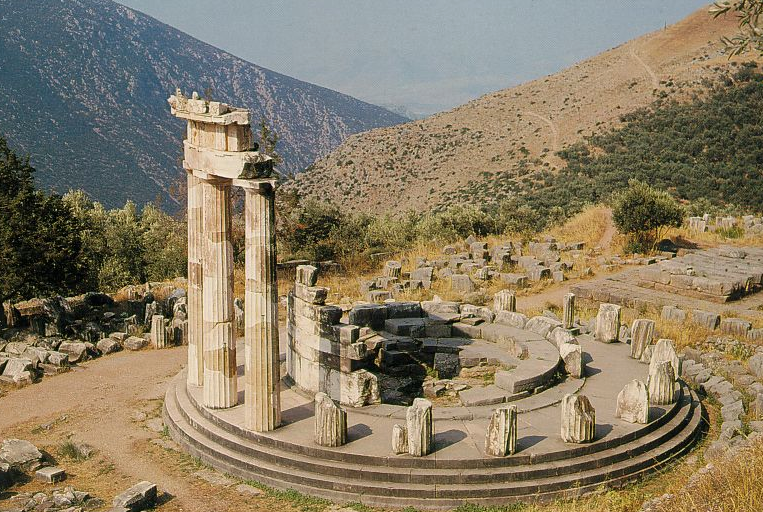 In this sanctuary is situated the renowned tholos of Delphi, a 4th century BC masterpiece of the ancient Greek architecture. The tholoi were circular structures, attributed to the cult of heroes or chthonic deities. In the course of 1500 years, the Delphi sanctuary and oracle mirrors the ancient history, as its fate was inextricably tied, not only with the history of Greece but also of the then known world. The powerful monarchs of the East seek its oracles, while there isn’t a single event with some historical significance in the Greek region, in which the Delphic oracle has not implicitly or explicitly taken part or stand.